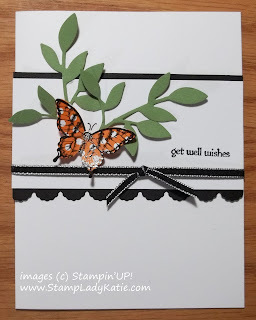 The August Stamping Technique was "Coloring with DSP" - if you're not up on all the acronyms DSP means Designer Series Papers. 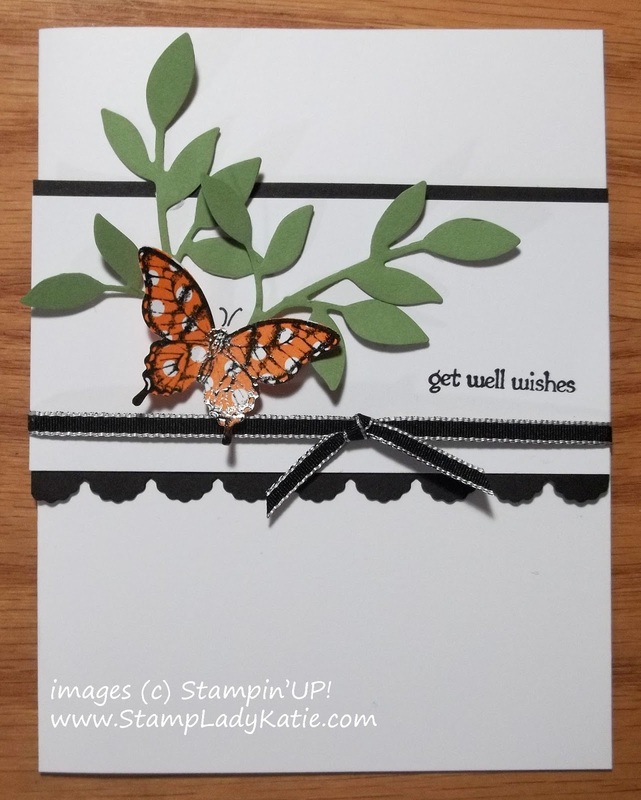 For this card we used the DSP to color the butterfly. This is such a simple technique. You just stamp on the Designer paper and either punch or cut out the image to apply to your project. 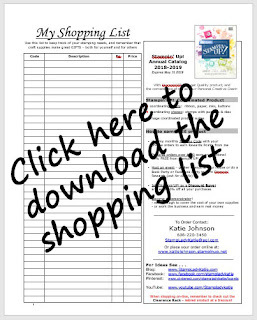 There are so many paper designs available, just pick a color and pattern that fits your stamp image. 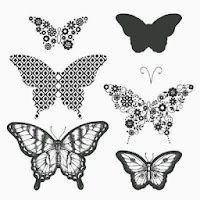 This image was heat embossed, to make the butterfly image really "pop" off the Designer Paper. 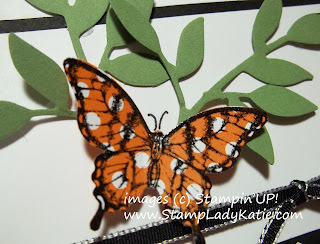 Speaking of the butterfly, I LOVE that Stampin'UP! 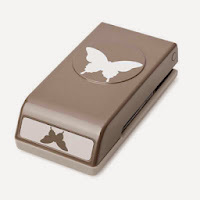 offers matching stamps and punches. 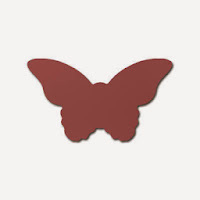 I could have used a scissors and "fussy cut" the butterfly - but my Elegant Butterfly punch makes this quick and easy. The butterfly is from a stamp set called Papillon Potpourri which was made to go with our butterfly punches. 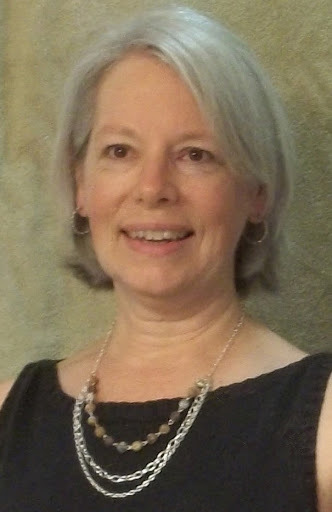 Do you ever get those annoying black speckles everywhere when you heat emboss in black? Here's how I solved that problem - I never use black embossing powder anymore. Now I just stamp in black ink and use clear embossing powder. 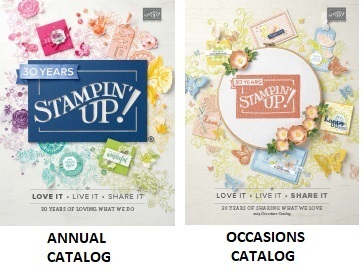 I used to use Black Craft Ink, but Stampin'UP! 's new foam ink pads are actually gooey enough to emboss with. So, cool bonus: now you can emboss in ANY color. I always keep a few extra jars of clear embossing powder on my supply shelf.